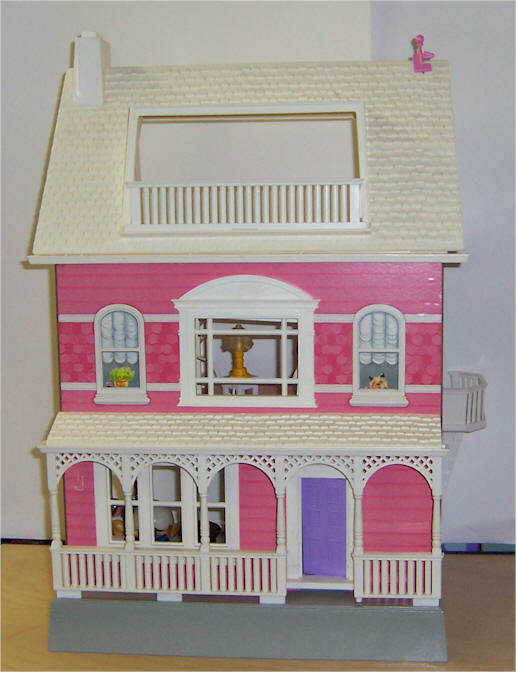 MINT IN BOX #280 Doll House - Never taken out of box. 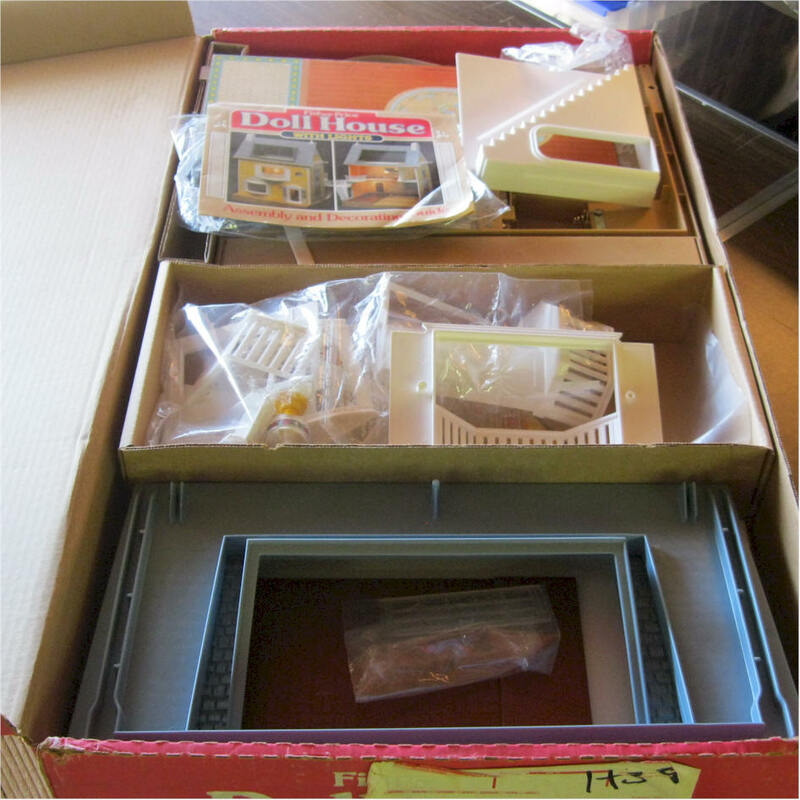 Everything in original package. 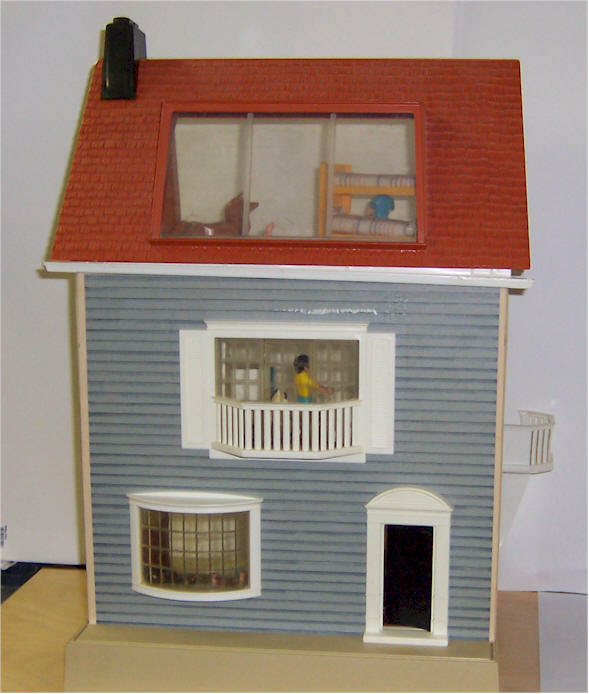 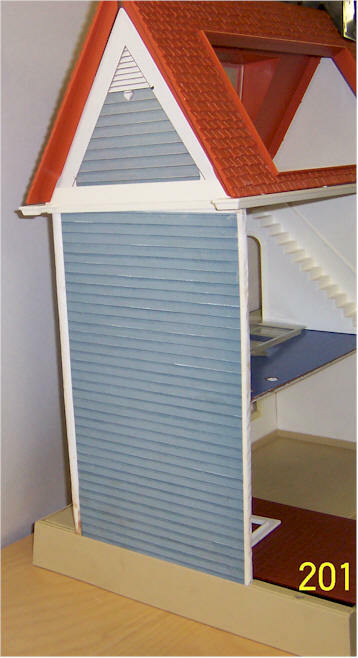 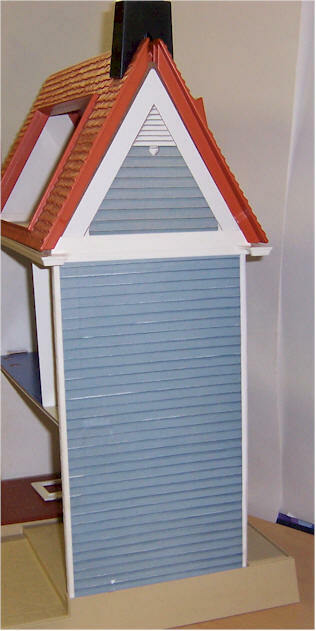 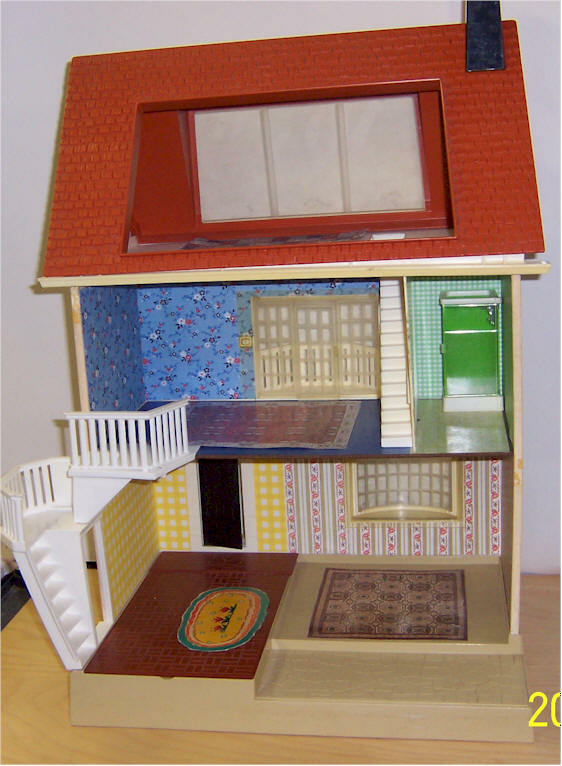 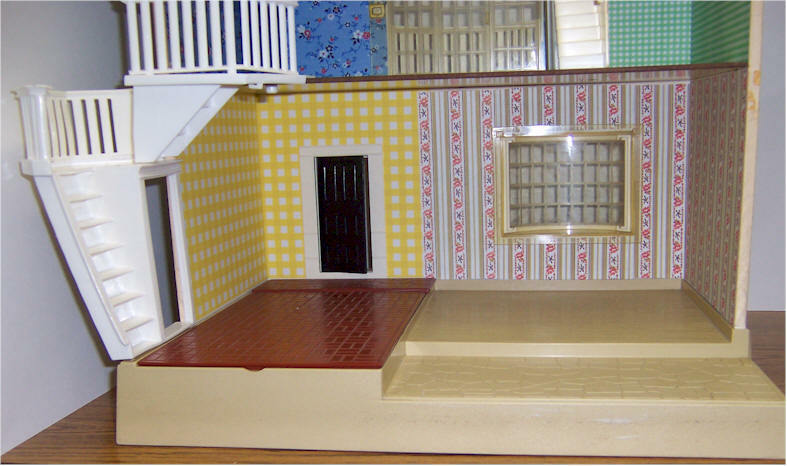 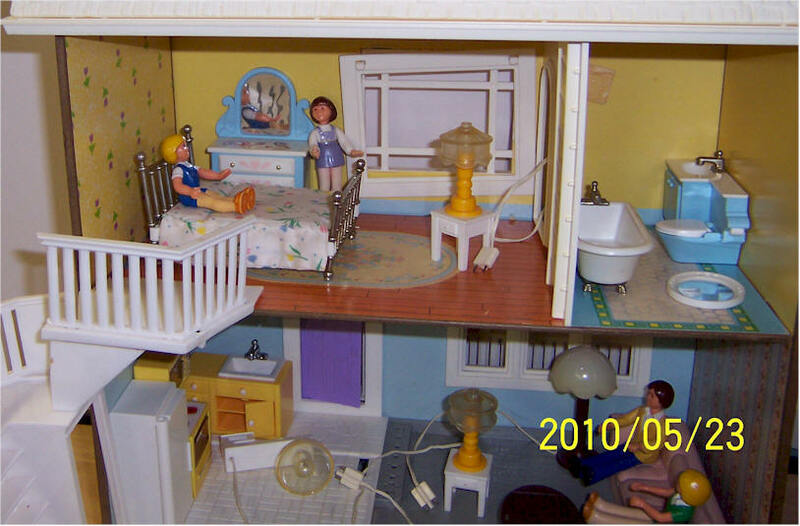 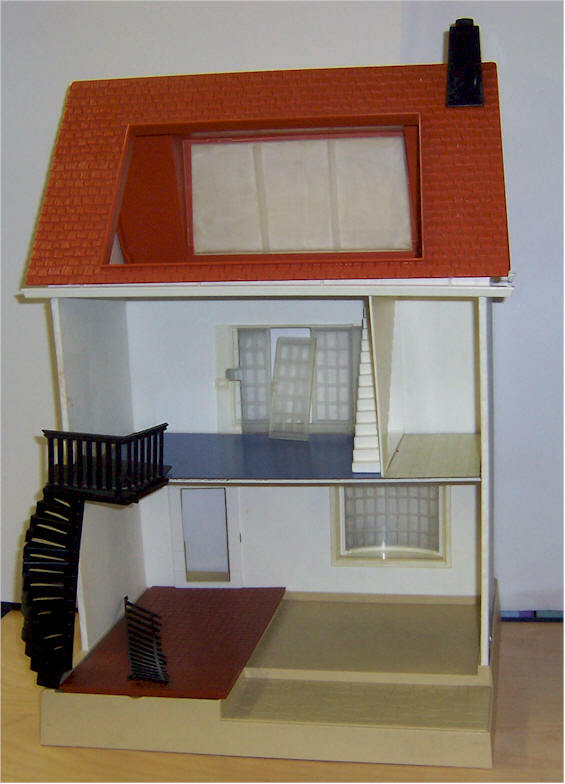 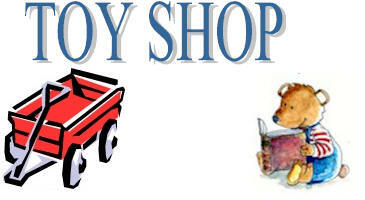 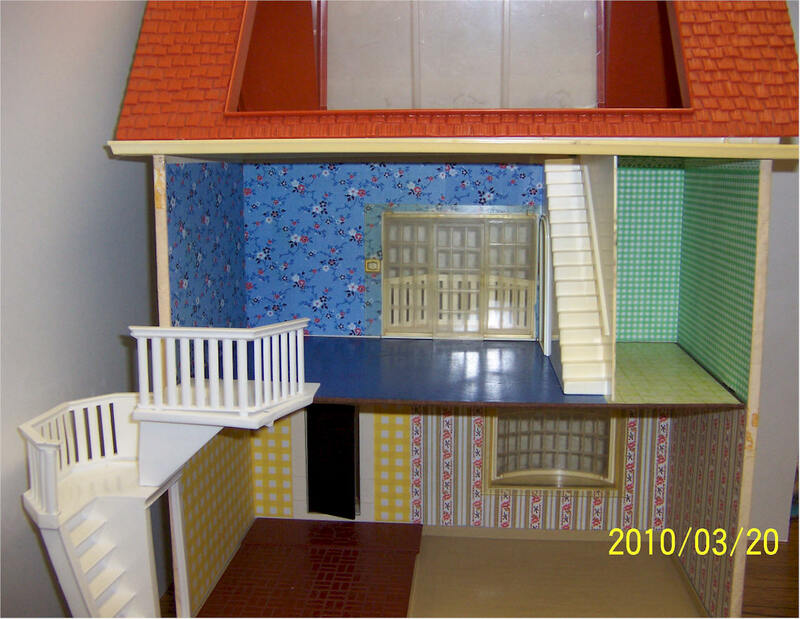 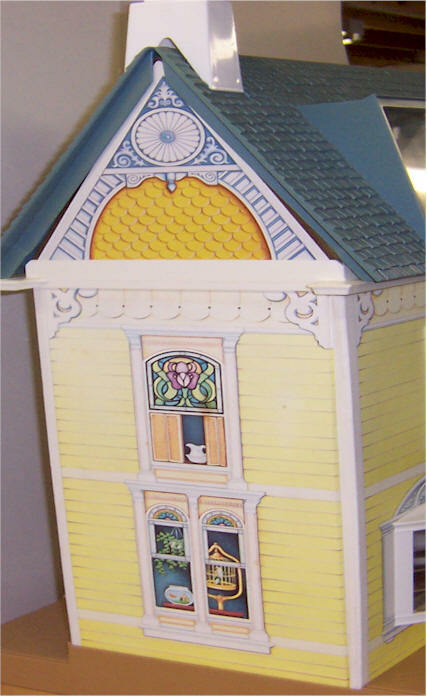 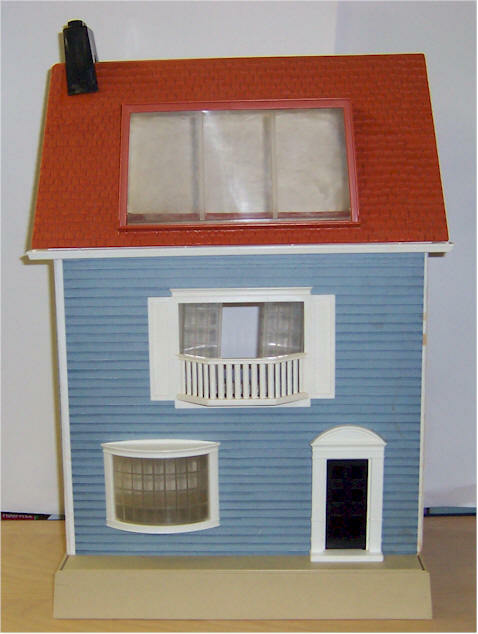 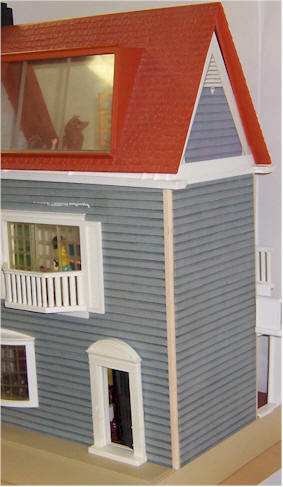 #250 Doll House - Three-story with five rooms, spiral staircase, gray siding. 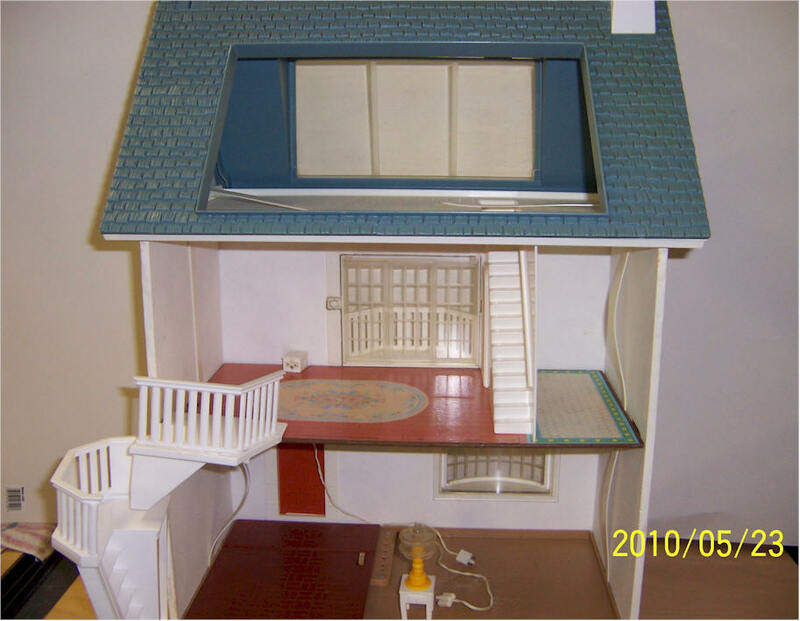 #4400 Light-up Doll House with furniture. 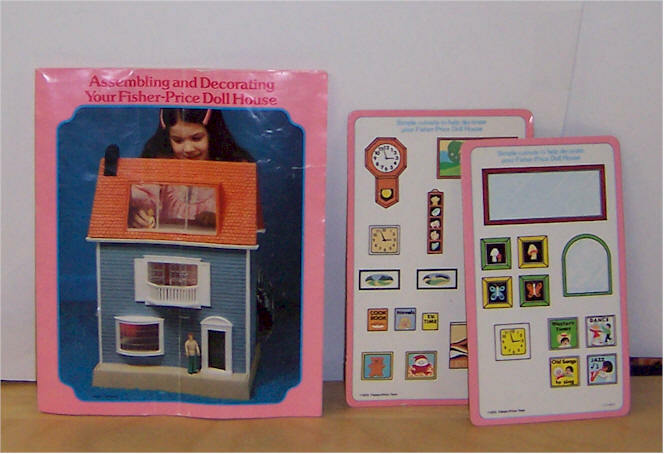 1985 only. 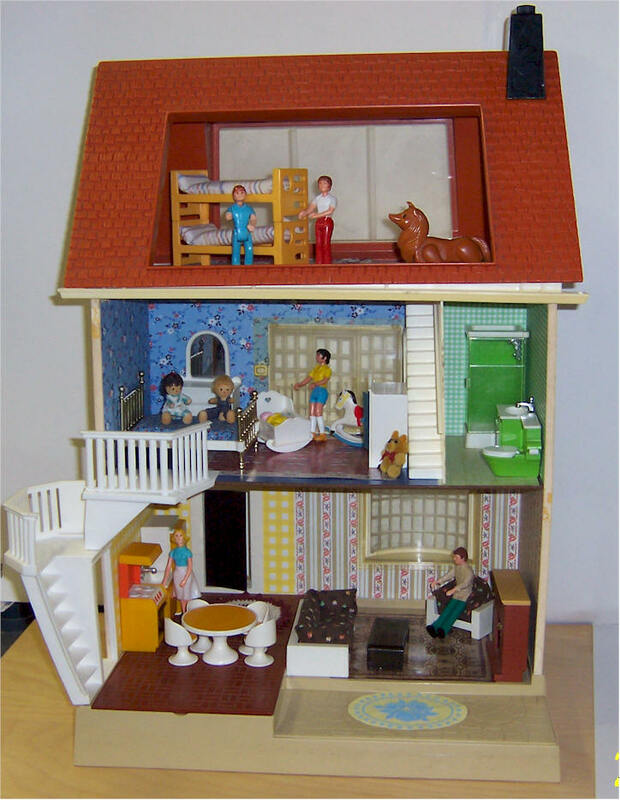 Three-story with five rooms. 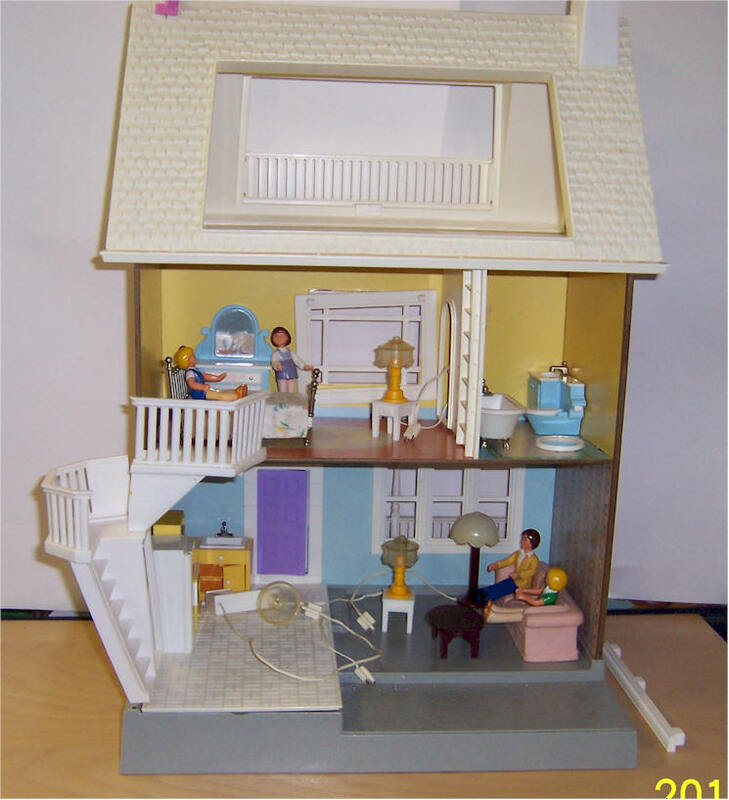 Comes with four lights, one ceiling, one brass floor lamp, two table lamps, four family figures, living room set, kitchen set, bathroom set, bedroom set and spiral staircase, and two straps to hold house together. 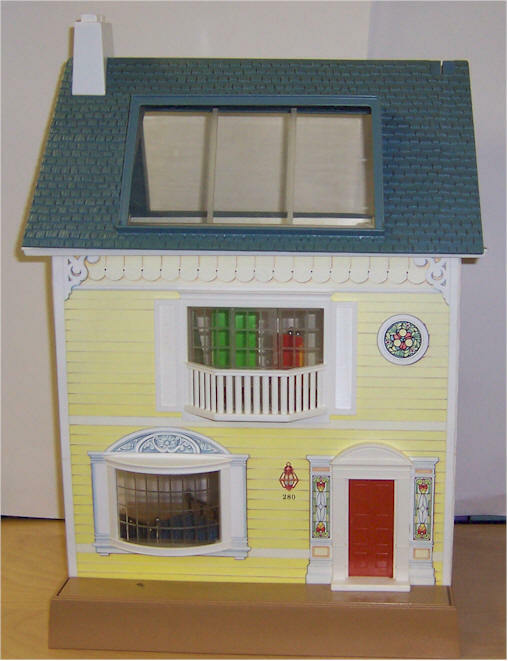 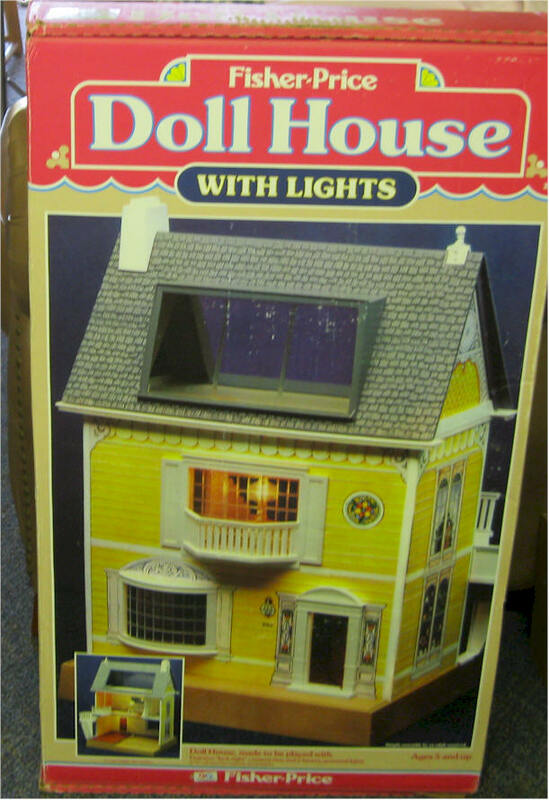 #280 Doll House with lights 1981- 1984. 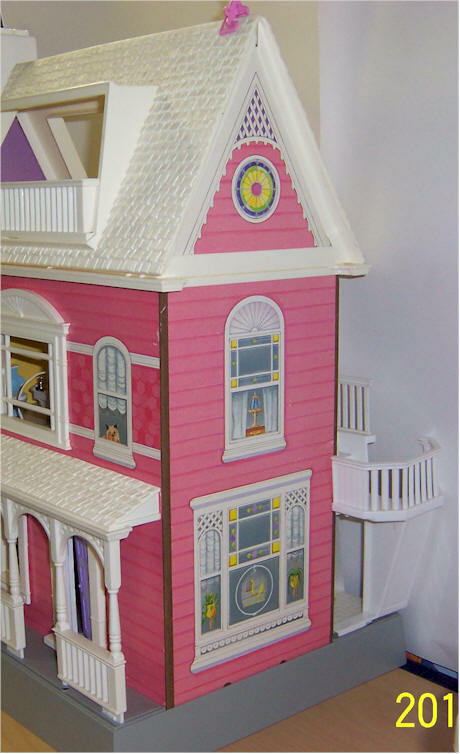 Three-story with five rooms, spiral staircase, yellow siding. 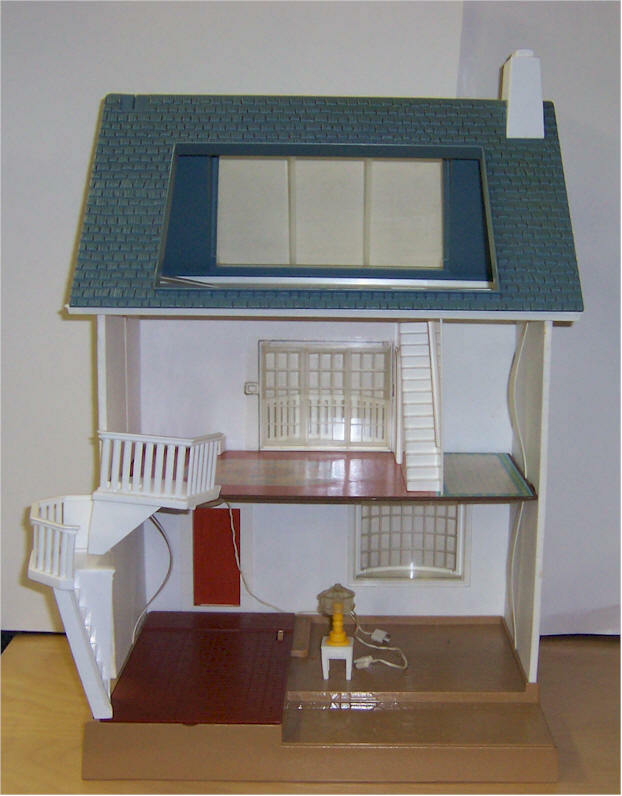 Haws a battery compartment and seven outlets throughout the house for lights and a ceiling light. 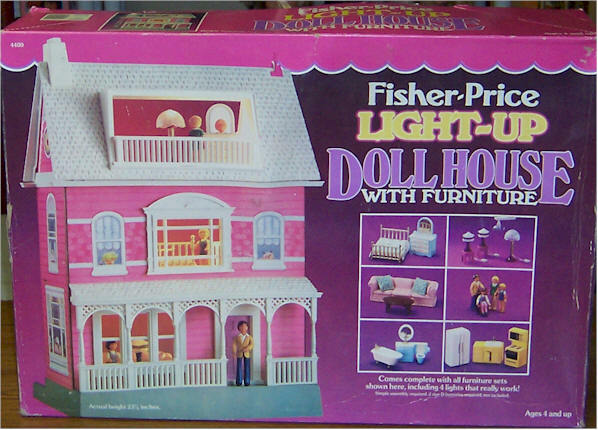 Comes with ceiling light, table lamp, spiral staircase, construction straps, wallpaper, and decorating accessories.